June | 2013 | Pedal Dad! Last year me and my mate Stu did something amazing and rode from our village in Leicestershire to Paris. It was awesome and can’t be described in a short blog. Which is why I wrote a full account of it when we got home. I’ve been in London for a couple of days and have managed to avoid the tubes for every journey. 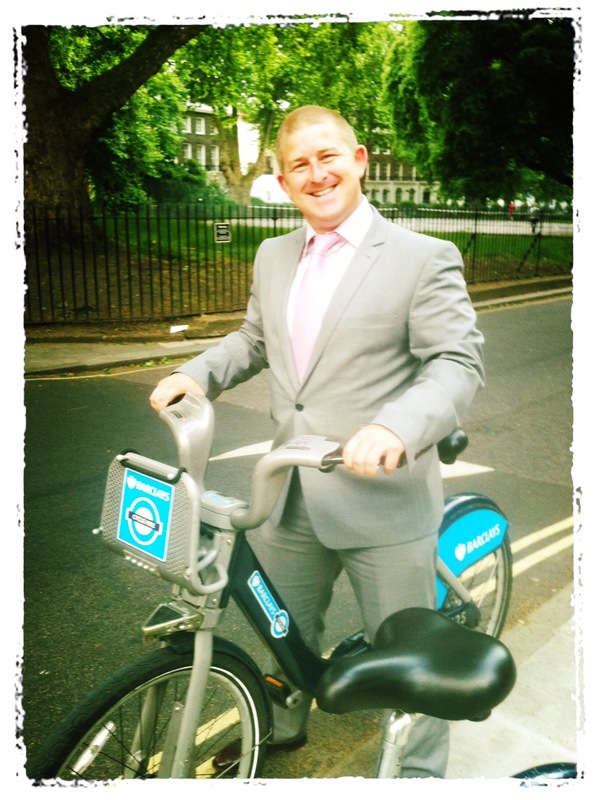 Instead I’ve been using a Boris bike (or Barclays Bikes to give them their official titles) to get around central London. It was only a few weeks go that I used one for the first time and now I am hooked as they have become my favoured form of transport in London. It’s dead easy. 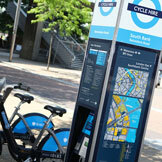 You just have to find a bike that is free at one of the docking stations (like the one shown in the TfL picture) and to get going, you just have to put your debit card in one of the payment pillars (then take it out again before starting the registration process) and once you’ve signed up paying your £2 fixed charge, a 5 digit code will be printed out to use to unlock a bike from the dock. The bikes have got a handy rack at the front which are sized conveniently to secure anything as small as a folder, a briefcase or (as I found today) a boxed laptop. The luggage is secured with a tough rubber strap which gives piece of mind but can make the front of the bike more difficult to balance if there is a lot stowed in front of the handlebars. I’ve downloaded the Barclays Bike app and its pretty good to help with routes because I’m a relative stranger to London, but it could be better if it had some audio instructions because at the moment I’ve been stopping to check I am on the right route. Many of the roads across town have a cycle lane on them now and there seems to be an acknowledgement among cabbies and bus drivers that cyclists are part of the road using community so I’ve not had any problems with traffic. It’s just worth being vigilant because there’s a lot going on and it’s not uncommon for herds of pedestrians to start crossing at traffic lights regardless of what colour they are shining. The best thing I’ve found is that I don’t get sweated up on a Boris bike in the same way that I do on a racer because it is far more upright and relaxed. In fact, I even managed to get my mate Ricardo to have a go when we were on the way out to a swanky dinner. We must’ve looked like a right pair of plums cycling to an awards dinner all suited and booted but anything is better than the tube, right? Surely it is time for doping cheats to be banned … for good? Two more high profile professional cyclists have tested positive for doping during a time when we are led to believe that there has been a change to the culture in the professional peloton. I have to say that I believe in the changes. A zero tolerance policy from teams like Sky and Orica Green Edge feels a harsh approach but has helped restore confidence in the integrity of leading teams. With the doping debate more open and honest than ever, the tide has turned against the omerta culture that has been so widely reported and young cyclists are now empowered to speak out against drugs in the sport. using needles to self administer “vitamins” dished out by shady “doctors” is alien to riders coming in to todays professional ranks. And with these changes must be shift in the peer pressure and social norms that made it acceptable to use performance enhancing drugs because “everyone else is doing it”. I suppose my point is that if the culture has changed, then all the excuses we have heard from Tyler Hamilton and others in cyclings doping generation are no longer valid. So having normalised a “clean” culture, how can anyone possibly excuse Danilo Di Luca and Mauro Santambrogio for their postive tests for EPO? No. I don’t mean excuse them because I don’t see or hear anyone doing that. What I think I mean is this. How can those riders ever contemplate coming back to this sport now that they have bought it in to disrepute again, just after it has hauled itself to its knees after the darkest days any sport has ever seen. Regardless of talent, work rate, experience or commercial value, these riders mustn’t ever be allowed to pull on the garishly coloured lycra of a professional cycling team because of the damage they could do by being accepted back in to the peloton. Young, clean riders need to see a zero tolerance of proven, malicious dopers. This zero tolerance approach of course brings in to question the validity of the tests and the impact of the detected substance. Does a positive test for traces of metolazone (a diuretic named in the 2013 WADA banned substance list) constitute the same gravity of offence as a positive test for EPO? Probably not, so is a tiered punishment system required? But that approach is undermined by the fact that some substances are taken to mask the traces of other performance enhancing substances. 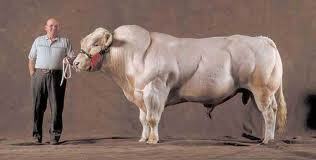 athletes lose their career for traces of banned substances that could enter the food chain without their control? Elvaston Castle hosted my first 10k of the year today and it proved to be a good reminder about form, fitness and attitude. At the end of last year, I ran a PB for 10k and followed it up with a PB for a half marathon the next week. And that made me a bit arrogant going in to today’s Sinfin Classic 10k thinking another PB was on the cards…. it wasn’t. Poor preparation – “Aah, it’s only 10k”. You still need to hydrate, rest and eat properly. A 40 mile bike ride, BBQ and a few beers do not constitute proper preparation. Start steady and speed up – once I’d blown myself out there was no getting back, but I could have sped up in the last few kilometers if I’d got gas left in the tank. The event itself was pretty good for a small local race. Organised by the Derby based Sinfin Running Club, the setting is spectacular and a great place to hang around and enjoy a picnic with family and friends. The terrain is very flat with a mix of cinder path, pavement and well trodden lanes through woodland. Oh, and a rather unwelcome short section of cobbles and pebbles through the centre of the grounds that gave the old legs a good wobble! The start was a little walk from the car park and registration desk, so that probably accounted for the 5-10 minute delay in getting underway. 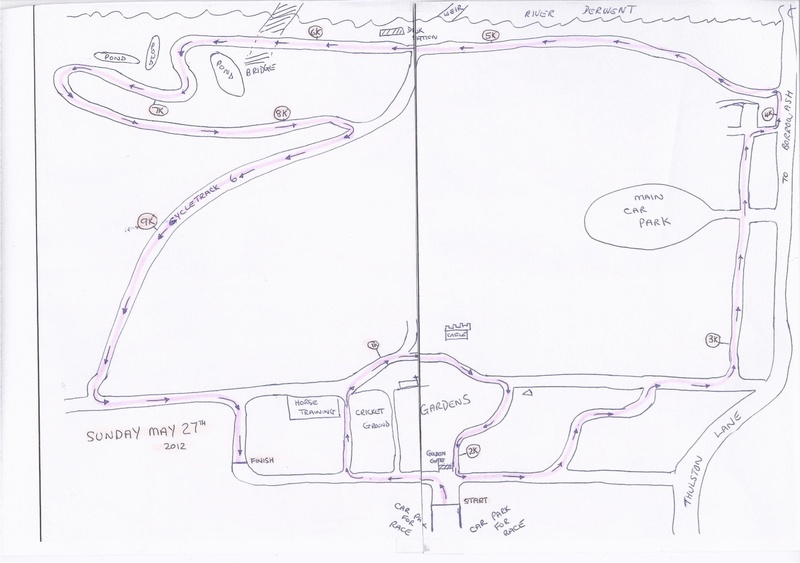 Once we did get going, there were plenty off twists and turns before we left the grounds of Elvaston Castle and after a short paved stretch ran along the side of a river for 2-3k. This was where I started to come undone and the sun warmed everyone up because there was no shade. After a little straight/hairpin/straight back on the road we headed back to the grounds of the country park and the final few kilometers of mixed terrain. There were no big banners or chip timing for the start or the finish and I heard the officials say 44:56 as I crossed the line (my watch said 45:01 so I might take the official time instead!). It’s a minute and a half over last years PB and I’m annoyed that I am so far adrift so will be taking the training seriously for the rest of the month to make sure that the half marathon I’ve got on 30 June is not as disappointing.